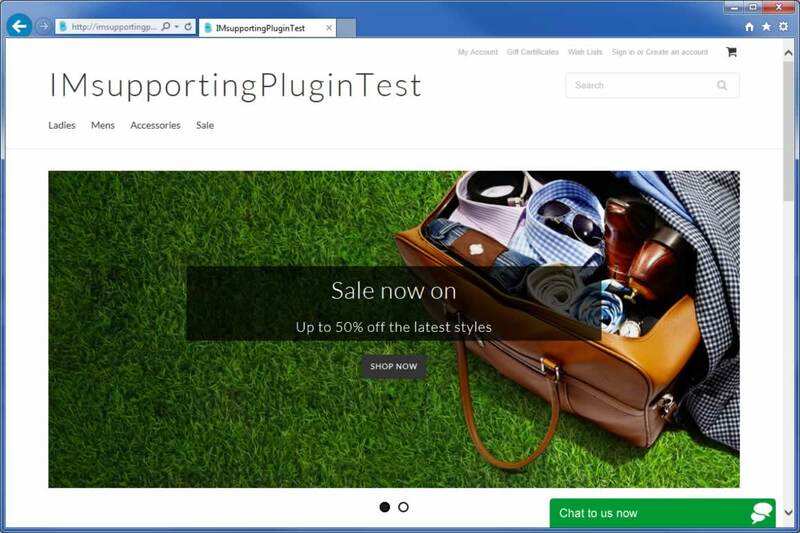 Follow our simple step by step guide to install live chat into your BigCommerce online Shop. Login to your BigCommerce admin panel, Click Setup & Tools and then Select “Live Chat” from the menu. 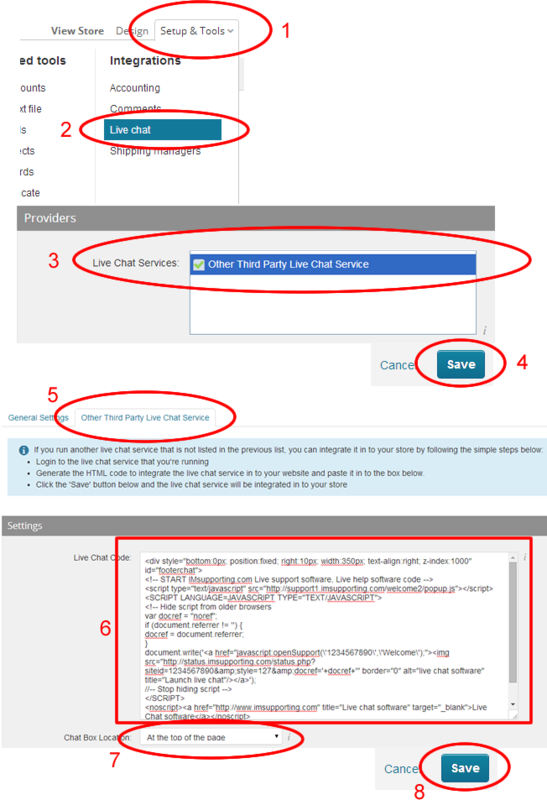 Now select the “Other Third Party Live Chat Service” Tab just above the list of providers box. Now paste your Floating Button HTML code from the “HTML code page” , Click HERE to get your code. ( You must be logged into your chat Dashboard to get your website code. Select “At the top of the page” and click Save. Your live chat button will now appear on your website. You can modify the HTML code <div> section to change the position of the button or style. If you need further help, please contact our support team.